Elliott’s 24 Series Condenser Expanders are ideal for expanding tubes in chillers, heat exchangers, feedwater heaters, fin fan coolers, and surface condensers. The 24 Series Expanders are available in both standard and longer reaches. Additionally, Elliott offers 4 and 5 roll expanders for rolling thin wall stainless steel tubes and titanium tubes. For more information, contact Customer Service. Proven tool life from the inventor of the tube expander. Tool life increased 7% – 31% over the leading competitor. Results vary according to tube size, material, variation between tools, etc. Smaller collar diameter: works in tight spaces. Reduced expander weight: higher operator satisfaction. Elliott's 900 Series Flaring Boiler Expanders are self-feeding, specifically made for use in superheaters in watertube boilers or evaporator tubes. In only one operation, these expanders roll tubes parallel and flare projecting tube ends at 15 degrees from the tool center line. The expanding rolls will roll tubes 1/2: (6.4mm) beyond the tube sheet thickness. The three flare rolls provide faster, more uniform flaring than other flaring expander models. The generous roll radius eliminates sharp offset within the tube. 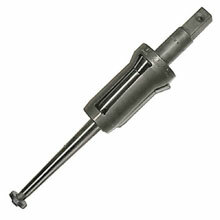 Additionally, the mandrel nut enables the assembly of the expander, mandrel, and drive as one unit. 3 flare rolls for faster, more uniform flaring. Works evenly to the tube minimizing stress. Expander is self-feeding. In one operation expands and flares at 15 degrees. Elliott's 1500 Series Flaring Boiler Expanders are self-feeding, specifically made for use in firetube and watertube boilers. 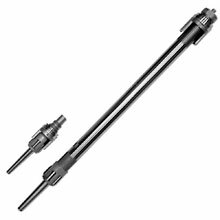 In only one operation, these expanders roll tubes parallel and flare projecting tube ends at 20 degrees from the tool center line. The 1500 Series Expanders are manufactured from high quality tool steels to assure for long life under the toughest of conditions. Most commonly used expander in installation of new boiler tubes due to its solid design and self-feeding parallel rolling operation. High quality steel for the most demanding water tube boiler applications. Elliott's 3400 Series Flaring Boiler Expanders are the recommended tube expanders for expanding and flaring tubes in watertube and firetube boilers. The prong style collar allows for uniform flare lengths as well as torque controlled tube rolling to obtain uniform expanded joints. The 3400 Series Expanders are manufactured from high quality tool steels to assure for long life under the toughest of conditions. 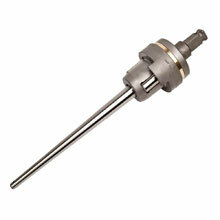 Prong style thrust collar – uniform flare lengths without risk of driving flare rolling into tube sheet. The standard expanders are provided with thrust collars for rolling tubes flush to the tube sheet. 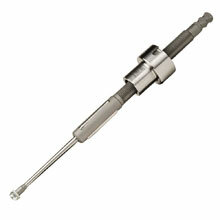 Prong style collars are also available for tube ends extending beyond the tube sheet face. For performing a straight roll operation or re-rolling leaky joints. Ball bearing thrust collar prevents force feed of expander into tube. Elliott's DRE Series Deep Roll Boiler Expanders are used for deep and hard rolling of steam and mud drums found in high pressure boilers. The DRE Series Expanders are furnished with a minimum reach of 3-1/2” (88.9mm) to maximum reach of 10-1/2” (266.7mm). The DRE and 1500 Series Boiler Expanders make a great combination for boiler tube erection and boiler tube replacement. Easy set-up for step-rolling operation. Long expanding rolls allow for quicker step-rolling operation. For use in heavy drum thicknesses for rolling tubes. 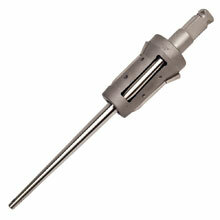 With a reach up to 10-1/2” it ensures that any required reach or depth is easily performed with this tool. 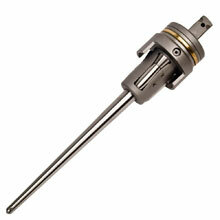 Elliott's 40 Series Straight Boiler Expanders are recommended for re-rolling leaky tube joints in firetube boilers. Self-feeding, these expanders can be used by hand or powered by a rolling motor for fast tube rolling. 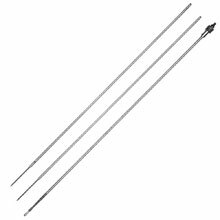 The guard prong is ï¿½” (12.7mm) long that bears against the tube sheet and straddles the projected tube end. The bronze bearing between the expander's frame and guard reduces friction and allows for torque controlled tube rolling. 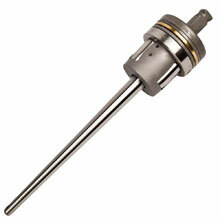 Only for re-rolling leaky tube joints in firetube boilers. 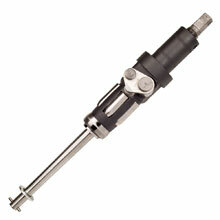 Tapered expansion aggressively seals leaky joints allowing for quick cycle time. Elliott's 6621 Series Sugar Mill Vacuum Pan Expanders are ideal for the fabrication and re-tube of sugar mill vacuum pans. They are operated from the top and eliminate the cumbersome and dangerous task of expanding the bottom tube sheet from underneath the pan. The 6621 Series Expanders also remove the need to purchase several short mandrels required for bottom tube sheet expansions. Range for reach adjustment of up to 12” (304.8mm). Pin and washer mandrel retention. Through-hole for vertical suspension (fits standard ”D” rings). Double radius rolls to avoid sharp edges on rolled area. Better labor relations: less operator fatigue, safer than rolling from bottom. Elliott's 3321 Series Sugar Mill Vacuum Pan Expanders are the ideal expanders for re-rolling tubes in vacuum pans. The 3321 Series Expanders can be used with short series mandrels for rolling in confined spaces. 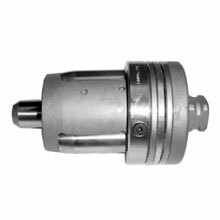 Elliott's Collet Style Support Sheet Expanders are used with a handheld short stroke hydraulic ram and light weight, low-pressure hydraulic pump to support sheet expand finned or prime surface tubes commonly found in chillers. Elliott offers two packages for ï¿½” (19.1mm) and 1” (25.4mm) tubes. Both packages come complete with (3) 4 ft. (1.2M) extensions. Expands copper tubes in support sheets in seconds! Elliott's 4480 Series Single Roll Beading Expanders expand the tube into the tube sheet while forming a bead at the end of the tube required in firetube boiler applications. The 4480 Series combines three operations (rolling, beading, re-rolling) into one, saving significant time and money. Additionally, the single beading roll design enables standard motors to provide enough torque to successfully bead the tube. Rolling and beading in one operation together with fast feeding boosts productivity. Easy on body compared to air hammer and beading tool. 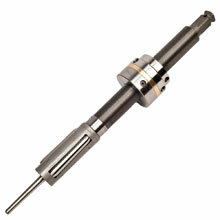 Eliminates the high torque requirement of others' double Single Roll Beading expanders. Smooth bead to tube sheet transition: increases tube life.